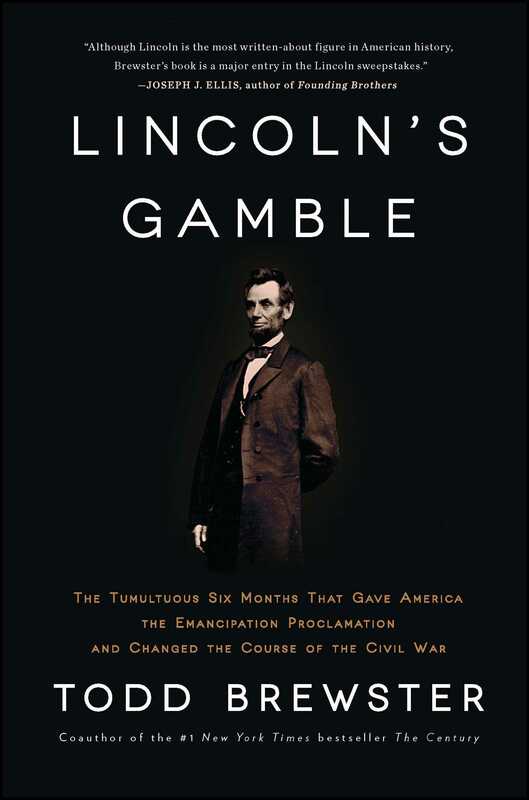 “A masterful psychological portrait” (George Stephanopoulos) of the most critical six months in Abraham Lincoln’s presidency, when he wrote the Emancipation Proclamation and changed the course of the Civil War. On July 12, 1862, Abraham Lincoln spoke for the first time of his intention to free the slaves. On January 1, 1863, Lincoln signed the Emancipation Proclamation, doing precisely that. In between, however, was a tumultuous six months, an episode during which the sixteenth president fought bitterly with his generals, disappointed his cabinet, and sank into painful bouts of clinical depression. Most surprising, the man who would be remembered as “The Great Emancipator” did not hold firm to his belief in emancipation. He agonized over the decision and was wracked by private doubts almost to the moment when he inked the decree that would change a nation. It was a great gamble, with the future of the Union, of slavery, and of the presidency itself hanging in the balance. In this compelling narrative, Todd Brewster focuses on this crucial time period to ask: was it through will or by accident, intention or coincidence, personal achievement or historical determinism that he freed the slaves? “Brewster brings elegant clarity to the tangle of conflicting ideologies, loyalties, and practicalities that pushed the proclamation forward” (Publishers Weekly), portraying the president as an imperfect man with an unshakable determination to save a country he believed in, even as the course of the Civil War remained unknown. THE INSPIRATION FOR this book comes from a short passage in the writings of W. E. B. Du Bois, the African-American intellectual who cofounded the National Association for the Advancement of Colored People in 1909 and whose work on behalf of racial equality set in motion the civil rights crusades of the twentieth century. What Du Bois wrote about the sixteenth president is worth reexamination. “Abraham Lincoln was a Southern poor white, of illegitimate birth, poorly educated . . . unusually ugly, awkward, [and] ill-dressed,” Du Bois claimed in a 1922 issue of the NAACP magazine, Crisis. “He liked smutty stories and was a politician down to his toes.” The judgment at first blush seems unduly harsh (even Du Bois’s own faithful readers apparently greeted it with considerable outrage), and as a summary of a life of such commanding importance, it also appears a little beside the point. On a couple of his observations, Du Bois’s description of Lincoln is also simply incorrect. The first president born in a state outside of the thirteen original colonies (Kentucky), Lincoln grew up in Indiana and settled in Illinois, which at the time formed the western edge of the country. He may have been Southern in sensibility, carrying many of the same racial prejudices as those against whom he would later wage war, but he was Western in spirit, in his willingness to broach the new and the untried, to question old traditions and to start over. The reference to “illegitimacy” is suspect as well. It comes from an almost certainly erroneous and yet often repeated story that Lincoln’s father was not the struggling farmer Tom Lincoln, as maintained by most all biographers, but Abraham Enloe (or “Enlow,” as the spelling is in doubt), a wealthy North Carolina landowner who, in a story that began to be whispered as early as 1865, entered into an extramarital affair with the family servant girl, Nancy Hanks. When she became pregnant by him and gave birth to a son, whom she named Abraham, presumably after his father, Enloe schemed to shield himself from the shame by sending Hanks off to Kentucky, where she eventually married Tom Lincoln, providing young Abraham with a last name. Though a photograph of a young Wesley Enloe, Abraham Enloe’s acknowledged son, did carry an uncanny resemblance to the young Abraham Lincoln, no concrete evidence supported the story. Still, the tale persisted and does to the present day (as a Google search amply demonstrates). It was helped along by William Herndon, Lincoln’s law partner, who, in his 1889 three-volume biography, repeated the story in part to reinforce his belief that Lincoln rose from the lowest depths of any of our great men, climbing “from a stagnant, putrid pool, like the gas which, set on fire by its own energy and self-combustible nature, rises in jets, blazing, clear, and bright.” The story of Enloe, and others, questioning Lincoln’s paternity, even inspired a 1920 book, The Paternity of Abraham Lincoln, with the unfortunate subtitle An Essay on the Chastity of Nancy Hanks. There, the author refutes claims that Lincoln was fathered by the legendary South Carolina senator John C. Calhoun, by the adopted son of Chief Justice John Marshall, by Enloe, or anyone else other than Thomas Lincoln. Still, Du Bois was right on most everything else: Abe Lincoln was indeed fond of the bawdy tale. He was also ungainly, homely, self-educated, the product of a dirt-poor upbringing, almost always disheveled in his appearance, and possessed of a gift for politics, though if it reached “down to his toes,” as Du Bois claimed—a reference that seemed to deny Lincoln any instinct but the political—it was still not enough to prevent the country from collapsing into its bloodiest war, a civil war, almost from the moment when Lincoln was elected president on November 6, 1860. Of Lincoln one could certainly say that he grew after the office—after his death, as we came to appreciate a new contour to the American idea, one birthed by him, and as a kind of shimmering mysticism began to attend his memory, a vision of Lincoln as the American Christ figure, killed on Easter weekend (he was assassinated on Good Friday) for the “sin” of granting freedom to the oppressed, a god-man, not a man-man, flawless, porcelain, divinely touched, someone to be worshipped more than understood. Among those who had suffered through the Civil War, much of the latter half of the nineteenth century was spent in an effort to wring meaning from their suffering. They had witnessed so much loss, so much destruction; they now needed to make meaning of it, lest the six-hundred-some thousand dead soldiers (and an uncounted number of civilians) be seen as having perished in vain. As early as July 1862, Lincoln, recognizing that this was no ordinary American war—most importantly because it involved Americans killing Americans—pushed Congress to pass legislation creating the first national resting places for those who died in service to their country. In the years following the end of the war, tens of thousands of bodies, most of them lacking any identification, were removed from their primitive battlefield graves to be brought to these new national cemeteries, where their deaths could be given recognition. (Union soldiers’ bodies, that is; the corpses of Confederate soldiers were left to the work of small groups of Southern women who banded together to recover what they could.) It wasn’t so much the war that created the Union. It was the death from that war and the need to come to terms with it. But Lincoln’s death was the big one. If his violent end could be rendered meaningful, if it could be said that he died for some transcendent purpose, then those who’d perished in the struggle over which he presided would follow his heavenly path. So the lesson was passed on to the next generation, the after-war generation: Lincoln was not simply to be saluted for his service, he was to be “sanctified.” By his blood, he had reconciled us; through his pain, we had been healed. By 1909, on the centenary of Lincoln’s birth, the apotheosis was complete. More than twenty-two counties and thirty-five cities had been named for Lincoln. There had also been (failed) proposals to christen new states—what became Wyoming and the Dakotas—with his name. It almost didn’t matter that so much of what had happened since the end of the war had undone the promise of equality (such as it was, a promise distinct, as we will see in this book, from the promise to end slavery), that the Jim Crow era had put a stain on Lincoln’s legacy, that much of what had been gained had been given back; Lincoln had injected the question of equality into the American consciousness as something central to our national identity, as a core element of the American conversation. But neither growth nor myth nor the overzealous debunking of myth is enough to understand Lincoln, and Du Bois alone, it seems, recognized this nearly a hundred years ago. For his short passage continues with his arguing that Lincoln became Lincoln not by denying or even transcending the impurities of his past but by holding on to them, embracing them, his virtues coexisting with his failings, his achievements coming both because of what he believed and in spite of what he believed. We all would like to think that a man’s education and experience forms a progressive line; the more he learns, the better he is. This is only natural, said Du Bois, a desire to whitewash our heroes, to remember only the fine and the brave and the good about those we revere and to whom we look for guidance. “We yearn in our imperfection towards perfection—sinful, we envisage Righteousness.” But life is rarely so cleanly lived (okay, it is never so cleanly lived), and in our lifting up of those we admire, we forget, Du Bois wrote, “all that was small and mean and unpleasant,” rendering the image of our forebears “remote, immense, perfect, cold and dead.” Drawing on his own words, he might also have said that we remove the notion that we could become them, that the great are no greater than us. This book chooses one slice of Lincoln’s life, one six-month period from July 1862 to January 1863, as the target for discovering the real Lincoln that Du Bois preferred to recognize. In this noteworthy slice of time, a hinge moment, the focus of the Civil War shifts from being about the restoration of the Union to the abolition of slavery; loyalty to the principles of the nation begins to supersede loyalty to the states; war itself—the conduct of armies—turns to a new brutality, prefiguring the twentieth century’s global conflicts; and the American ideal of liberty is joined by the ideal of equality. Todd Brewster is a longtime journalist who has worked as an editor for Time and Life and as a senior producer for ABC News. 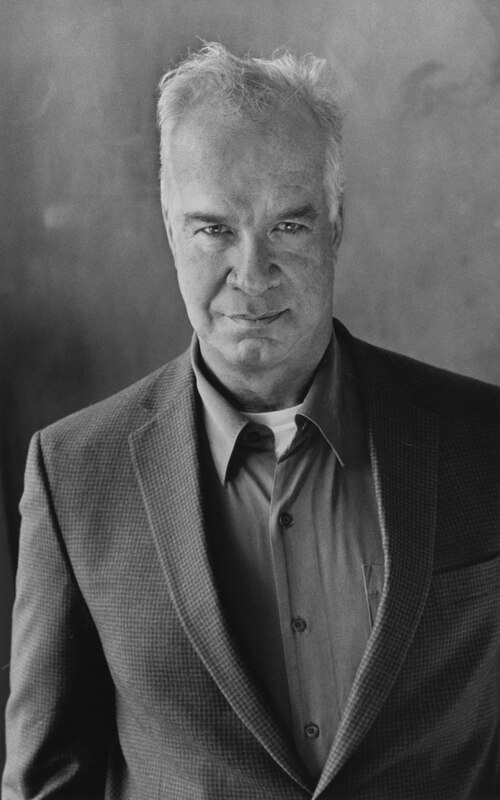 He is the coauthor with the late Peter Jennings of the bestselling books The Century, The Century for Young People, and In Search of America, and the author of Lincoln's Gamble. "In this historical essay about the Emancipation Proclamation, Brewster explores the six months between Lincoln’s July 1862 decision to issue it and actually doing so in January 1863. Inspired by a 1922 article on Lincoln by W. E. B. DuBois, the purpose of which was to portray Lincoln as great but imperfect, Brewster sets as his goal a quest for the “real” Lincoln... Featuring vignettes of figures who met Lincoln during his formulation of the proclamation, Brewster’s work illuminates Lincoln’s lines of thought during this turning point in American history."